Wow! So cool! Who knew the clouds weren't white! Beautiful! I love all the colours that I never would have noticed in the first photo! 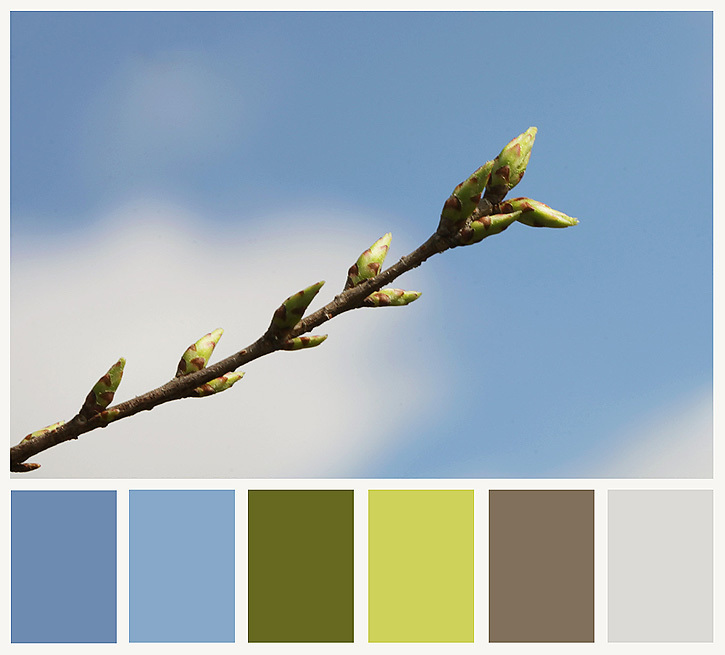 Oh these colour palettes are such a lovely idea. Mother Nature has played with us this year giving us the cold weather and you the mild winter! I really like your last color pallet! It isn't often you see black in them. Beautiful shots. I still need to do this. Maybe when we finally get some new leaves. None here yet. Really beautiful! all of them are so crisp and clean !!!! :D love the bottom one! GORGEOUS! awesome photos and palettes...all of it. very inspiring! 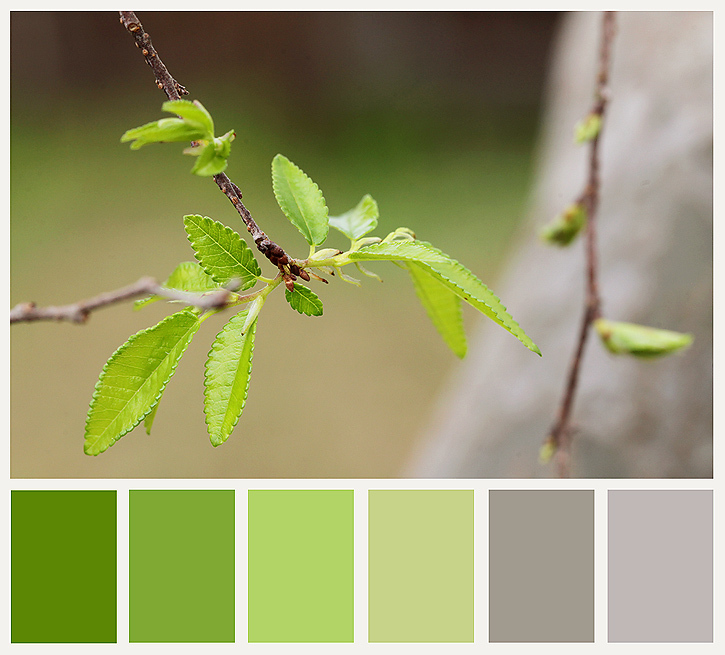 I love the color palettes and seeing what colors go with what that nature combines! I am jealous that y'all have leaf buds already! 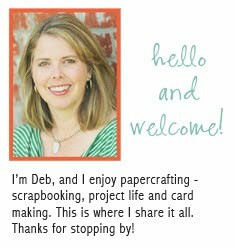 aw, deb, your photos are always worth the look! i love every singe one. it's really hard to pick a favourite. ............ stunning Deb! Who would have thought there were all those pretty shades in a branch and he's such a cute wee guy crawling along it too. Your green leaves are quite interesting as there's a darker ribbed edging around them. Yip your post shouts "Spring" to me. Beautiful! I especially like the cute little bug in the last shot! great shots.. and loving that little bug! Very pretty! Great greens in the second, and love the tiny red spot in the third. It really stands out! I absolutely love the contrast between the gray and the black of the bug. Great photo! Wonderful shots, Deb! The colours in the second shot are lovely. 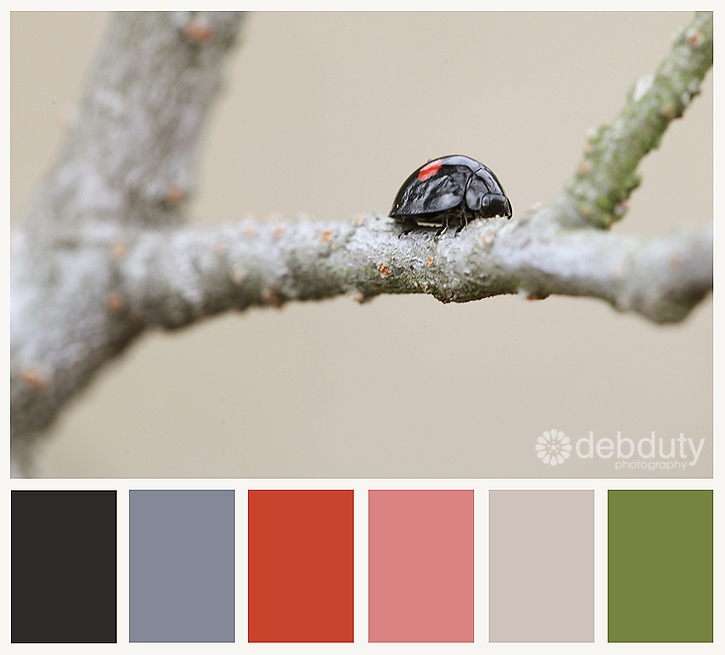 And I agree with Ross, the contrast of the lady bug's black & red with the gray bark is wonderful. Beautiful buds. And you know I love bugs. :) Thank you so much for the links. I will be heading over. These photos are so fresh and beautiful! And I love the colors! I can't wait for spring! Love them Deb...Spring is not going to Spring here for a while I fear! Oh- aren't they just gorgeous Deb!!!!! I love these...great color choices in all of them. It makes me eager for spring!! !